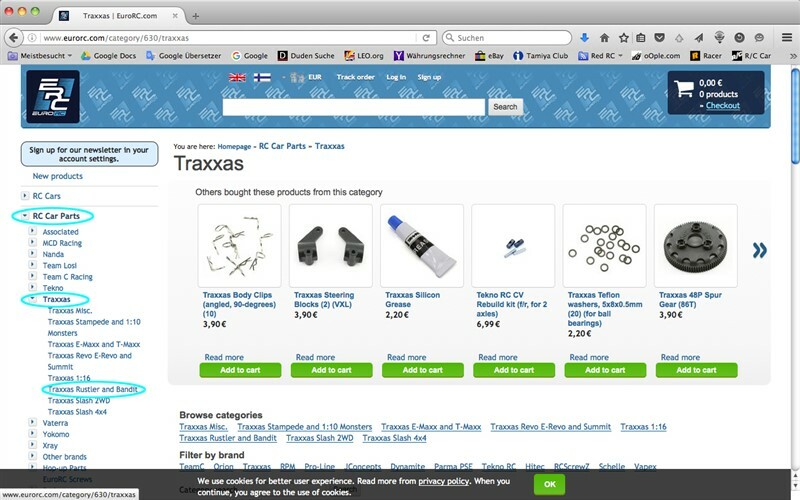 You broke a part on your Traxxas car, buggy or ruck and you are in need for a replacement? Then this easy guide is for you. 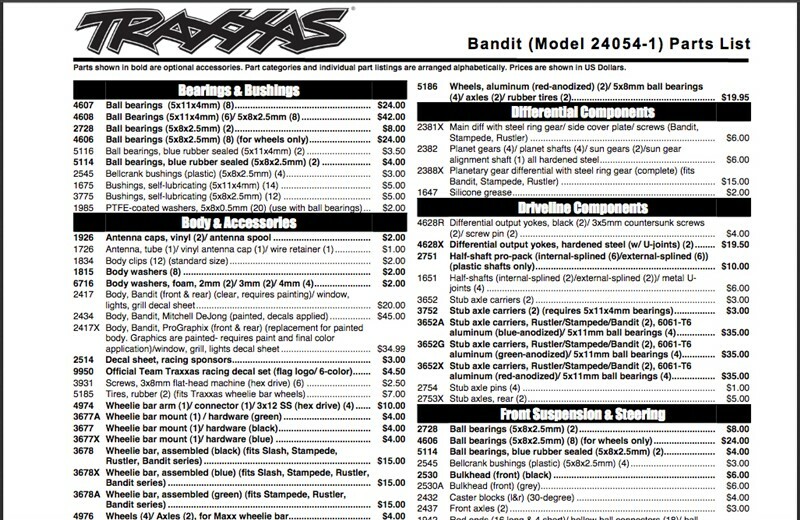 Each Traxxas vehicle comes with a comprehensive set of manuals including parts and exploded view sheets but you can also find them online at www.traxxas.com. 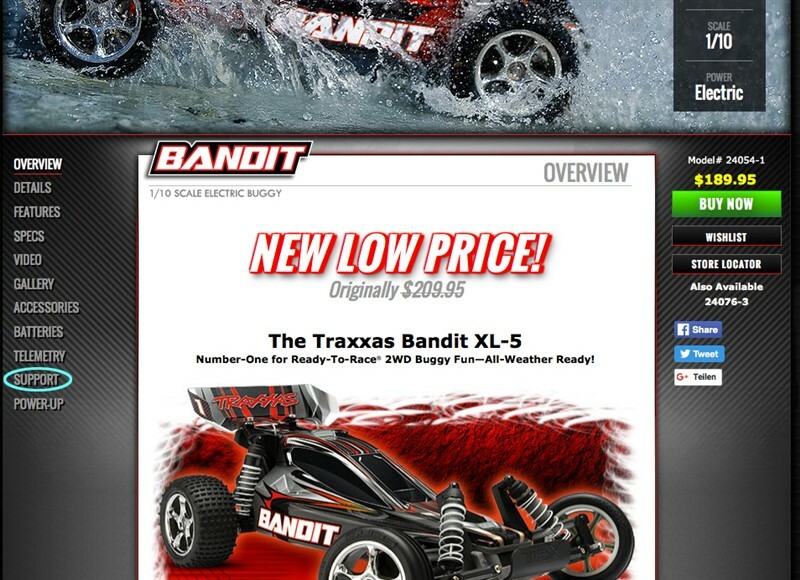 Use the website's search engine to source your kit – like the Traxxas Bandit in our case – or just flick through the site's model showroom to find your specific kit. 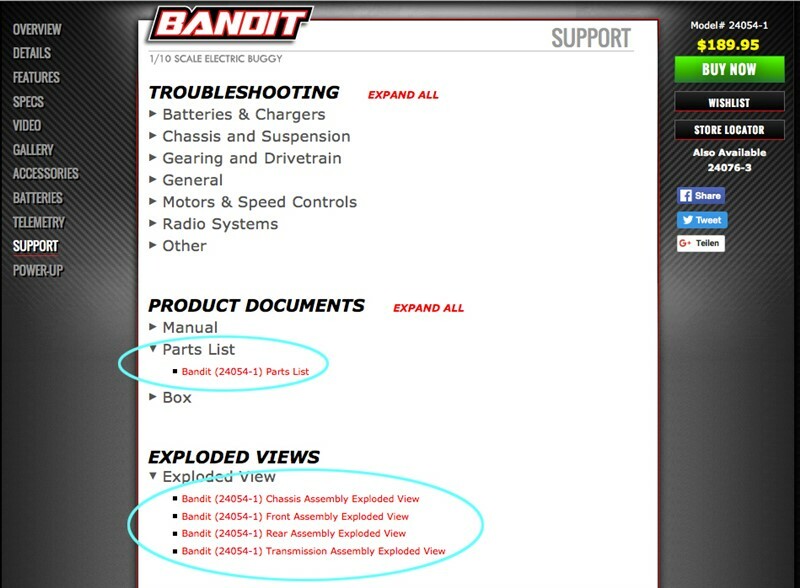 Then hit the "Support" button and youwill find a list of useful files including th "Parts List" and "Exploded View" sheets. 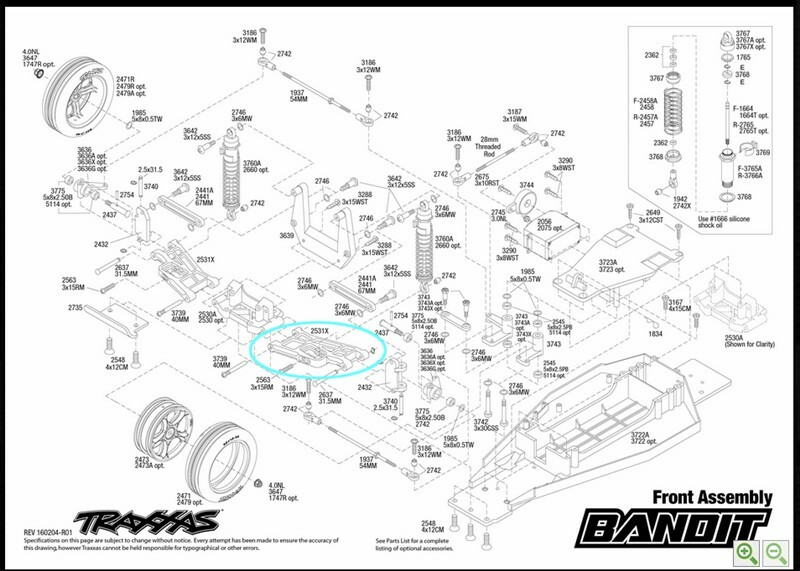 Starting with the Exploded View sheets, these will give you an instant view on all parts of your Traxxas model, allowing you to find the correct part(s) you need without even knowing their exact name. Say you are in need of a replacement front A-arm, look after the "Front Assembly Exploded View", download the fle and you will end up with a nice view of all parts that make up the front end of the buggy. Now look after the front A-arm an you will see its part number right next to it (2531X in our case). With this part number you can now shop your favourite retailer without having to fear ending up with the wrong part. Pretty much the same applies to working with the spare parts lists. 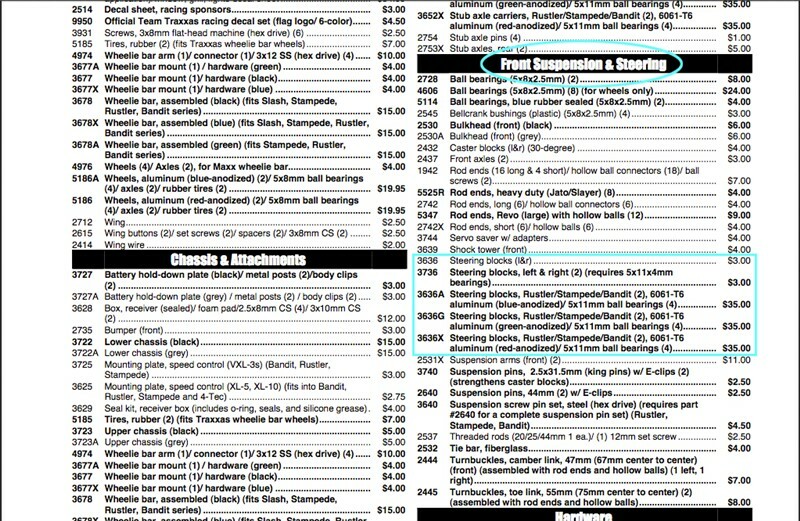 Say you know the exact name of the part you are looking for but you miss the part number, you can identify it by using the spare parts list that is separated by specific build groups such s body, chassis, differential or driveline components. Say you are in need for new front steering blocks you can find them in the "Front Suspension & Steering" section. The original part number is 3636 but the Spare Parts sheet also lists alternative and option parts and so you can also find the blue, red and green anodised aluminium parts that promise higher durability and cooler looks. 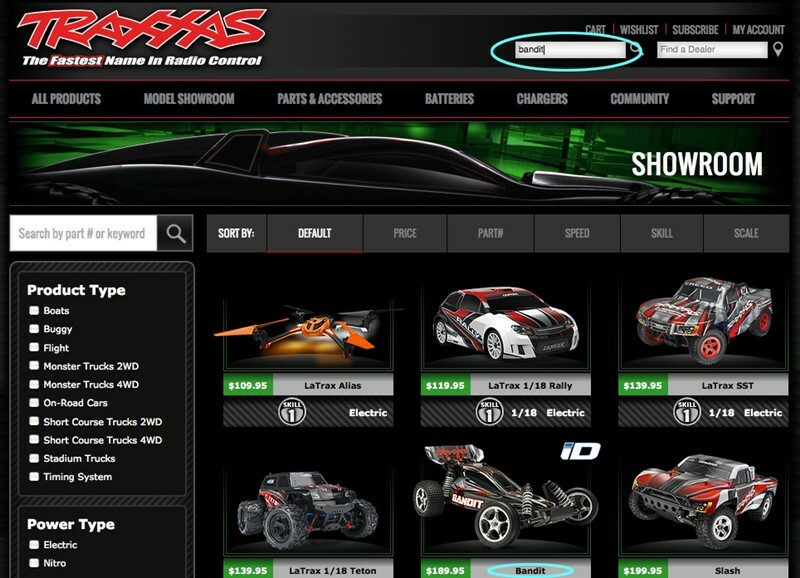 Often Traxxas' spare parts list also give additional information about the item such as its colour, specification or other included parts. 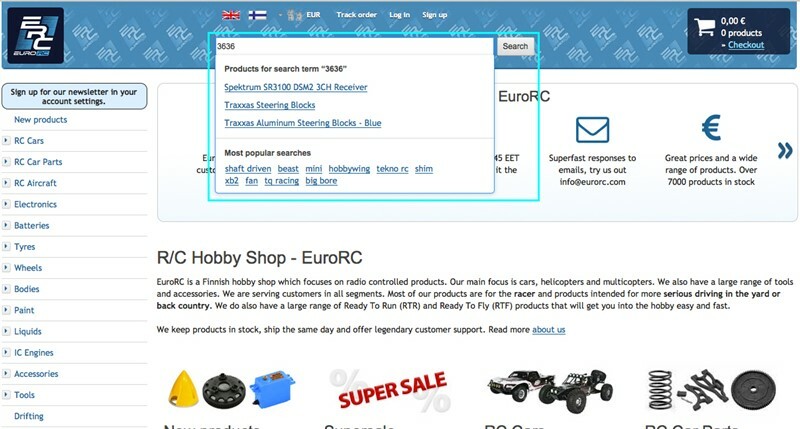 With both the part number or part description you can go after the needed part by using our search field that you can find in the header of our Euro RC website. You can either use the part number, part description or use the "RC Car Parts" section on the eft hand side of the page that is separated by brands and the respective kits and/or model ranges. When in the respective section you will not only find Traxxs brand parts but also fitting parts of other brands, such as RPM, who offer brilliant products such as their virtually indestructible suspension components such as A-arms, C-hubs and steering knuckles.